The share of In-Cell solutions in the global smartphone market is estimated to reach 31.9% by the end of 2017, according to the latest research on touch display solutions by WitsView, a division of TrendForce. This latest share figure for In-Cell solutions, which is an upward revision from the earlier projection of 29.6%, is mainly attributed to the near maturation of IC products for TDDI (Touch with Display Driver Integration) as well as their rapid adoption in the panel industry. “Technologically, In-Cell solutions have advanced significantly over the past two to three years,” said Boyce Fan, research director of WitsView, a division of TrendForce. “Pure In-Cell solutions, including those that integrated with TDDI chips, are now starting to displace Hybrid In-Cell solutions as the market mainstream. Some of the well-known leading suppliers of TDDI chips are Synaptics based in the U.S. and Taiwan’s FocalTech. Fan pointed out that the In-Cell technology in the past few years used to be specifically for high-end smartphones, such as models carrying displays of FHD resolution. Furthermore, Synaptics for a time was the main TDDI suppliers as the In-Cell technology remained positioned in the high-end market. FocalTech, on the other hand, has helped to accelerate the development of TDDI chips for HD smartphone displays since it entered the market. 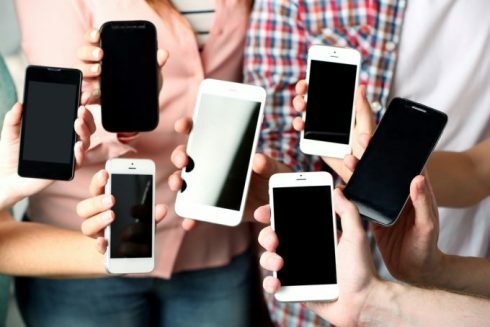 Subsequently, the number of TDDI solution for HD smartphone displays together with the number of smartphone models using such solutions have grown substantially. Currently, Synaptics and FocalTech dominate the FHD and HD market segments, respectively. WitsView estimates that the share of In-Cell solutions integrated with TDDI chips in the smartphone market will grow from about 6% in 2016 to about 14% in 2017. Fan added that steeper drops in prices of TDDI chips are also caused by more IC suppliers entering the market (e.g. Novatek and Himax). 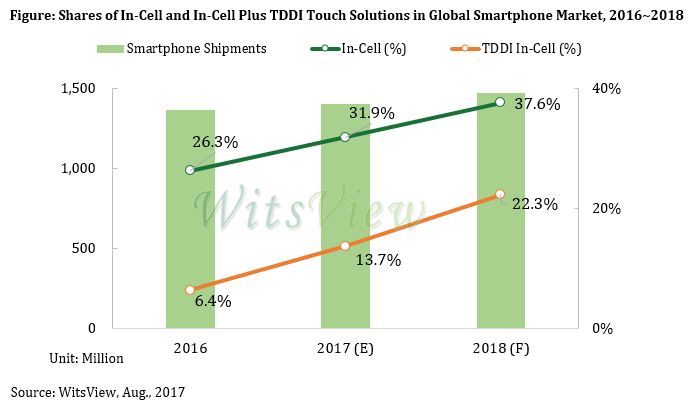 With prices of TDDI chips becoming less of an issue, WitsView forecasts that in 2018, the share of In-Cell touch solutions in the global smartphone market will expand rapidly to 37.6%. Moreover, the share of In-Cell plus TDDI solutions in the global smartphone market will reach around 22% in 2018.